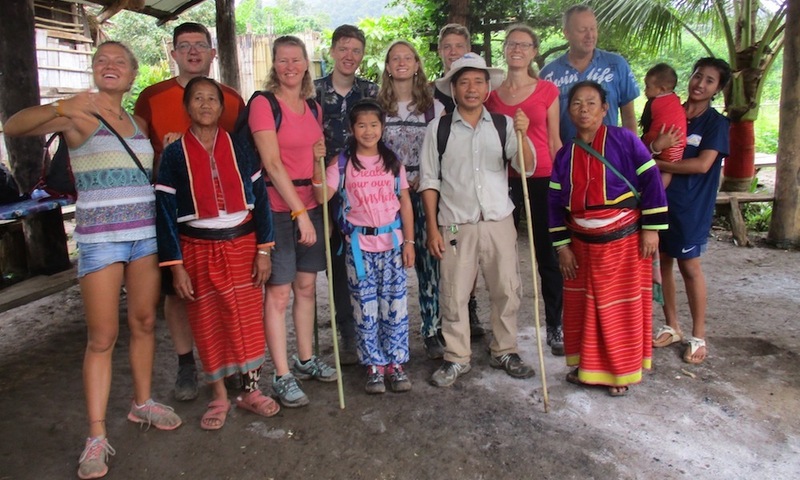 Your guide will meet you at the hotel for your one day Chiang Dao Hilltribe Family adventure. 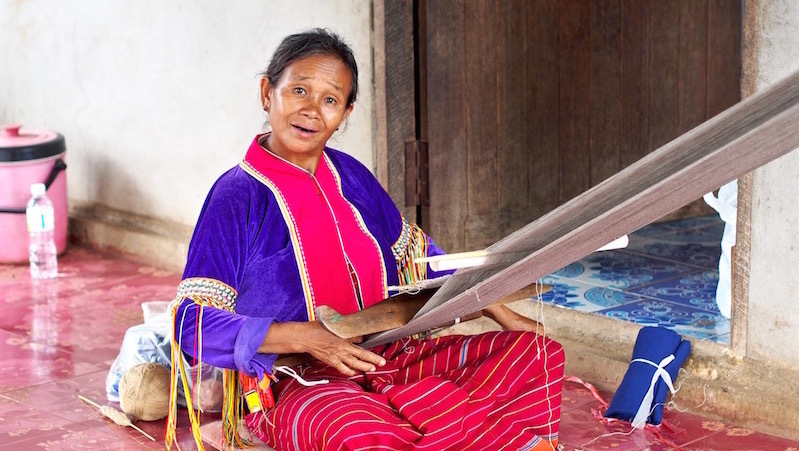 We will drive to an area east of the town on Chiang Dao which is inhabited by people of the Akha, Lisu, Lahu, Palong (aka Dara-ang) and Karen tribes. It is a largely agricultural area encircled by forested mountains. 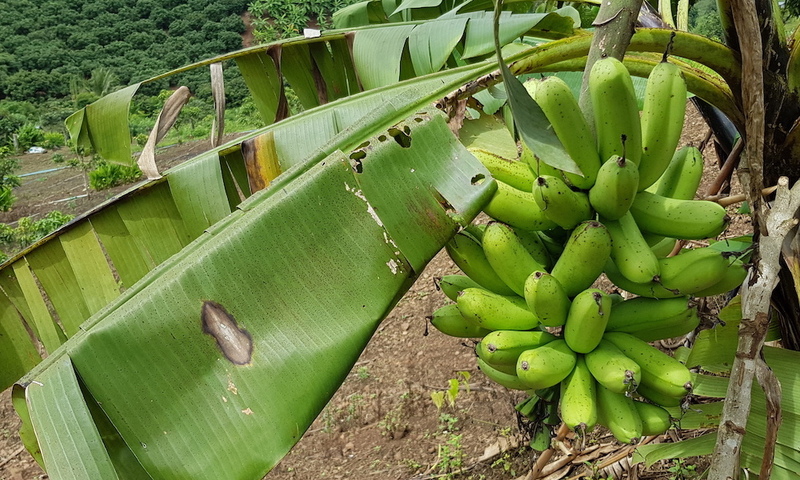 Many crops are being cultivated in this area such as corn, cassava and rice. 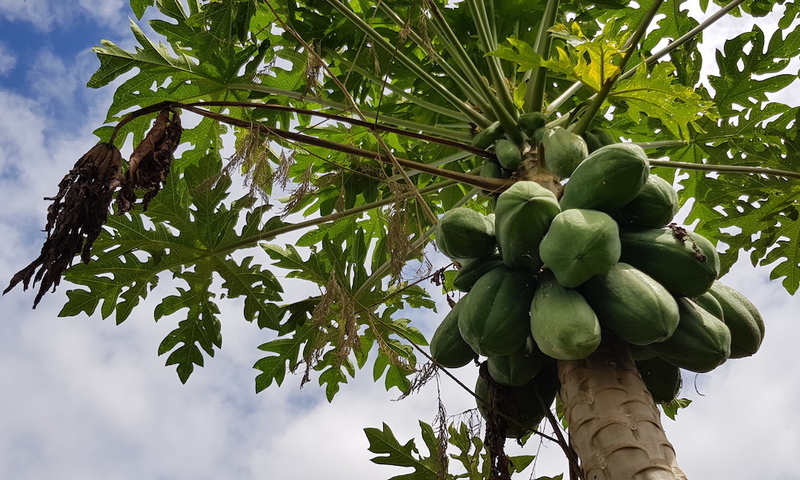 There are lots of fruit trees as well, amongst others papaya, longan (lamyai), rose apple and mango. The Palong grow pine apple as well. Our first stop today will be at the local market at Mae Malai. Your guide with take you around and explain you about the herbs and vegetables, used in Thai cooking as well as the strange kinds of food and the other local products you can find here. Proceed to the rafting camp. Don’t worry, this is not wild water rafting, this is bamboo rafting, you’ll see it’s a relaxing experience. While the helmsman maneuver your raft down the stream, you have time to look around and enjoy the scenery, the sun, and the sounds of the birds. After that we will continue to Chiang Dao. Here we will leave the main road proceed further into the countryside where we will stop at a Akha hilltribe village. 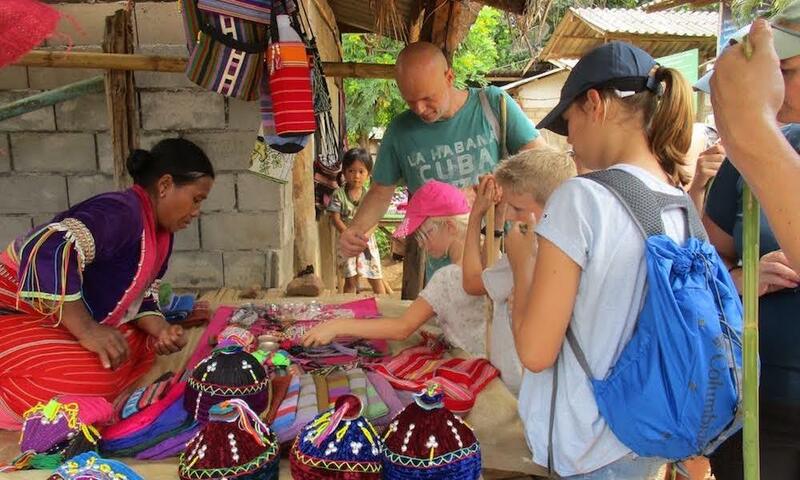 We will walk around the village and you will see some the villagers with their traditional dress. After this visit we hike to a nearby Lisu village. For many generations the economic livelihood of the Lisu people has been based upon the cultivation of the opium poppy. Some of these people have given up this trade, and are now seeking to supplement their income through the sale of skillfully produced crafts. Here we still start a hike through the protected community forest to a Palong village. We will pass through dipterocarp and bamboo forest and patches of evergreen forest. The trail goes up and down. There is plenty of time for some explanation of fauna. The village is called Pang Daeng Nai. Your guide will show you around the village. He will explain about the village shrine and about the ‘huja rawl’, the ‘village heart’ as well as about the Royal Project. After this walk, we will get back in our van and head back to Chiang Mai where we will arrive late in the afternoon. Last stop today will be the Elephant Poo Poo Paper Camp. During an excellent self-guided tour you will see all the stages of the production of paper from elephant dung and learn about the history of paper making. We will arrive back in Chiang Mai in the late afternoon.